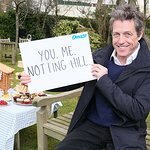 British actor Hugh Grant attended a special event in London earlier this week to help launch a campaign to make terminally ill cancer patients aware of nursing services which allow them to die at home. The actor was at the Marie Curie Cancer Care at the British Museum to discuss the findings of a survey he commissioned to identify awareness levels of the Marie Curie Nursing Service across the UK. While four out of five of the UK population have heard of Marie Curie Cancer Care, the new survey shows that 79 per cent of the population doesn’t know if there is a Marie Curie Nursing Service available to them locally. Just under half (48 per cent) responded – ’don’t know’ when asked how they would go about getting a Marie Curie Nurse. 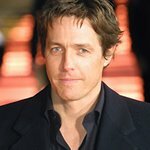 Marie Curie Cancer nurses cared for Hugh Grant’s mother in her final days. “They were so fantastic to my mum who, eight years ago almost to the day, was in her last 24 hours and if you can ever have a happy last 24 hours she pretty much had one, and entirely thanks to Marie Curie. “It just seems such a shame. There’s this incredible opportunity to give people who are dying this option, this dignity, this loving environment to die in. It seems very sad that so many people don’t realize that it’s there on their doorstep and it’s free.